Size: 8.74 inch*5.83 inch*4.53 inch. 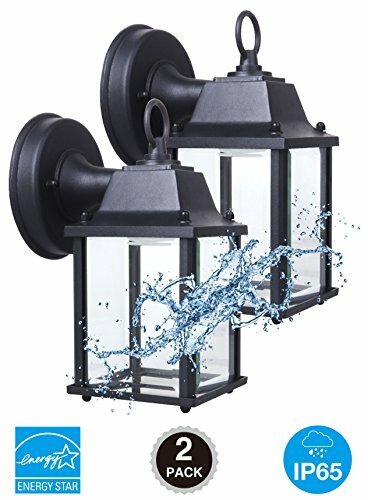 Not big wall lantern but bright one. Before buying, please kindly check if it is the right size you are looking for. 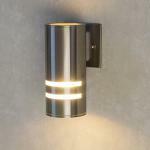 Real Certifications: ETL/ES/Lighting facts. ETL is certified for Safety, Energy Star is certified for energy saving and real life-span 50,000 hours, Lighting facts is certified for real energy consumption. All the certificates are colorful versions which prove they are original and real. If needed, we can offer them to Customers by email. 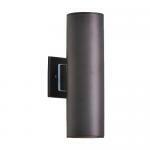 Application Location: This LED wall lantern is ideal for industrial, commercial and residential applications. 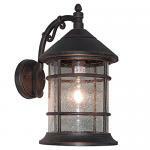 Such as security, entryways, stairways, storage, area lighting and so on.